The Choose Toolbox Items dialog will be launched. click the Browse button and select ConnectCodeBarcodeLibrary.dll in the installation directory. Click OK to close the Choose Toolbox Items dialog. You should be able to see a new item BarcodeControl in the Toolbox. drag it and drop it to the Windows Form in the designer. Your application is now barcode enabled. 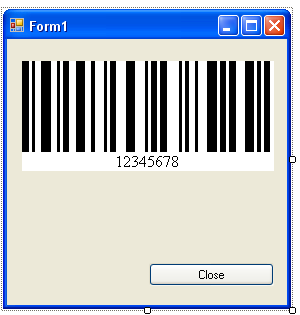 For more details, please refer to the Windows Forms Sample that is shipped with the Barcode Control package. Add a reference to ConnectCodeBarcodeLibrary.dll. 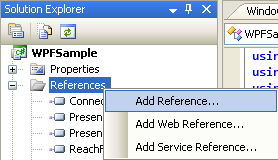 This can be done by Right clicking on the project and select Add Reference. Add a reference to WindowsFormsIntegration and System.Windows.Forms. These assemblies can be found under the .Net tab. The following is a sample screen of the WPF application. 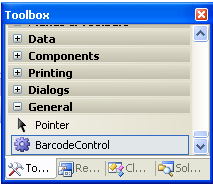 For more details, please refer to the WPF Sample that is shipped with the Barcode Control package.